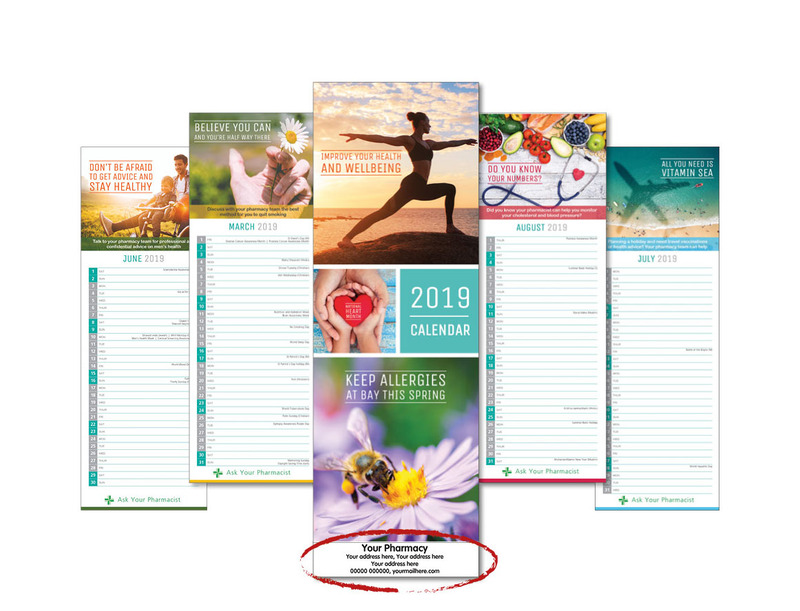 Our personalised calendars for 2019 are a great way to help retain customer loyalty. You can give them away or sell them to your customers in your pharmacy. Highlights within the calendar include special holidays and events across 4 religions – Christianity, Hinduism, Judaism and Islam.